The Clone Wars is BACK. The most surprising Star Wars announcement of recent times has led to an outpouring of love for a series that remains an essential part of our understanding of George Lucas’s universe. Lucas told many more hours of stories in TCW than on the big screen, and one thing that extra time and space allowed him to do was fill in and refine his vision of Anakin Skywalker. In Attack of the Clones, Lucas arguably showed his hand too soon. With the audience aware of Anakin’s fate, the shadow of Vader looms large, both in Anakin’s “joke” about dictatorships (run, Padmé!) and his heinous slaughter of the Tusken Raiders (RUN, PADMÉ!). The petulant teenage edge and creepy behaviour makes him hard to like, and there is a sense of something fundamentally “dark side” about him that everyone around him is crazy not to see. In Revenge of the Sith, we meet a different Anakin: for the first hour he is heroic, likeable and sympathetic, haunted by the fear of his wife’s death, a pawn in a political game between Palpatine and the Jedi Council. His fall seems to come from a place of good – albeit confused – intentions. Yet it happens extremely quickly. How could he go from “what have I done?” to slaughtering younglings in a matter of moments? It is the “heroic” Anakin that TCW picks up and runs with. 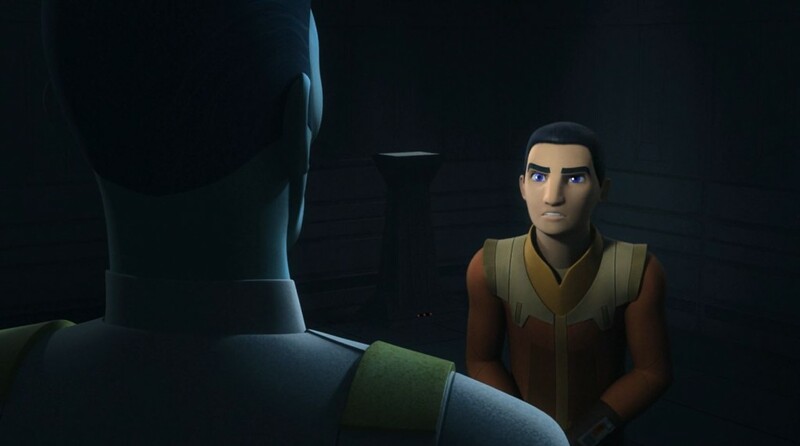 Dave Filoni revealed at Comic Con that his priority in casting Anakin was, above all, “likeability” – the charismatic Republic hero Filoni imagined as a child. 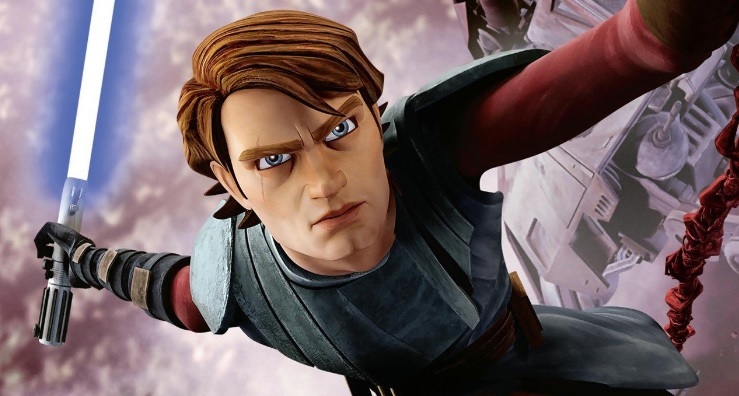 TCW Anakin has a square jaw, a noble voice, and is in all respects the swashbuckling hero and hotshot pilot the original trilogy led us to believe he was. We are on Anakin’s side immediately, he’s a hero we can root for – a bit Luke, a bit Han, a bit Poe. From there, TCW adds flesh to the bones of his fall, rooting it not in a fundamental darkness – but in the very things that make him a hero. Dragon Con is somewhat unique among large conventions in that despite its size it is still entirely fan-run, meaning you don’t really see the industry presence (read: exclusive merch and reveals) that you would at a SDCC, NYCC, Celebration, etc. However it also means that there’s an emphasis on a wide breadth of tracks to cover almost every tangentially geeky topic there is to talk about, from the obvious sci-fi/fantasy titans (Star Wars, Star Trek, Game of Thrones, etc) to more niche interests such as puppetry or LAN gaming. The Star Wars team in particular always puts on four days of incredibly high-quality programming and discussions, and as a frequent panelist with the Star Wars track my goal this year was to bring some of that fantastic discussion to Eleven-ThirtyEight. And in a year where the fandom at large has dealt with some serious discussions around toxicity and representation, it seemed fitting to put a focus on one of the more controversial elements from The Last Jedi: Vice Admiral Holdo. 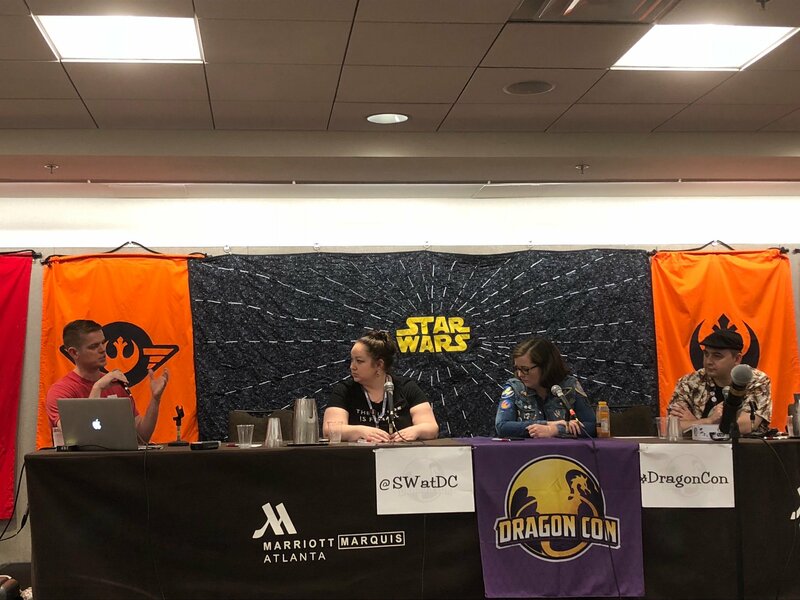 So I now present to you the latest in ETE’s Aggressive Negotiations series: a transcription of the Vice Admiral Holdo panel from Dragon Con 2018, featuring myself and three other panelists unaffiliated with ETE. For those unaware, Aggressive Negotiations are raw, largely unproofed live chats among our staff and occasionally others. They are more off the cuff and unscripted with the goal being to present fandom in its most raw form. The panel discussion originally took place on Friday, August 31, 2018. This transcription has been slightly edited for clarity.